“I never give a 5”, said the senior executive when evaluating one of his people on a 5 point scale. “No one is perfect.” All our lives, in school, athletics, or socially, we are poked, prodded, and pushed to be perfect by evaluation systems that merely show us we are not 5’s, “not good enough”. We are less than perfect, based the standards of others, so peer pressure becomes our moral compass. In the business world, it’s organizational politics and fear that shape how we behave. We have to take orders, get along, and not rock the boat in order to advance. 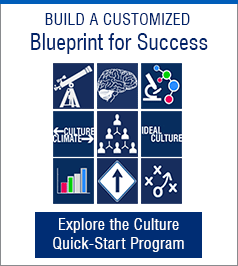 For organizations, leaders, and teams, this evaluation system creates what could be called an authenticity gap—which is the distance between who people truly are, what they believe to be true, and what they wish they could say, on the one hand, and on the other, what they have to be, believe, and say in order to advance. This gap is sustained by a leadership culture that is based on power, politics, and fear, rather than principle and trust. For organizations, the consequences are mediocrity, bureaucracy, reduced innovation, productive energy and collaboration. In fact, how can we possibly collaborate in a culture that is based on the fear of not being “good enough”? Organizations can, and do, lose their moral compass in this culture since people will go along to get along—witness the recent banking scandal. For individual leaders, the greatest consequences include an unwillingness to speak truth to power, to take risks, and admit mistakes. The primary focus is rather on meeting the expectations and standards of others to get ahead. External standards and measures are used to assess their worth, rather than their internal sense of self, values, and moral code. Like organizations, people can easily lose their way when always conforming to the expectations of others. I know a senior executive at the top of his game who is the most authentic leader I have ever known. He bridged the gap—he found a way to be himself and also excel in his work. He brought this leadership to his teams and organization, creating a culture where they could tell their truth, make mistakes, learn and grow; the results were collaboration, innovation, and sustainable growth. How did he bridge the gap? No one is perfect, even those evaluating us. Anyone can bridge the authenticity gap and create a collaborative work culture. It’s a conscious choice. What can you add to this discussion? I look forward to your comments below. 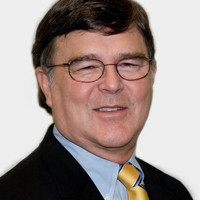 Dr. Edward Marshall is an adjunct professor at the Fuqua School of Business at Duke University, and Managing Partner of The Marshall Group, LLC, where he works with companies to build leadership cultures based on trust and collaboration. You can contact him at: edward@marshallgroup.com, 919.265.9616.